Perennial Symphony Center favorite Mariachi Vargas de Tecalitlán returns to Chicago for its annual performance, this year coinciding with Hispanic Heritage Month activities. 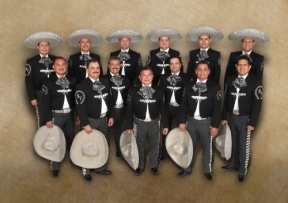 Their concert on Sunday, September 28 at 3 p.m. marks the group’s eighth celebration of traditional Mexican music at Symphony Center. To add to the day’s festivities, a special preconcert performance featuring students from the Chicago Mariachi Project’s Mariachi Academy will take place on the first floor of the Symphony Center rotunda from 2:15 to 2:45 p.m. Founded in 2013, the Chicago Mariachi Project elevates the Art of Mariachi, promoting excellence in musicianship through education, coordination and support. As one of the only organizations of its kind it has several partner programs throughout the greater Chicagoland area. Tickets for all CSOA concerts can be purchased by phone at 800.223.7114 or 312.294. 3000; online at cso.org, or at the Symphony Center box office: 220 S. Michigan Ave., Chicago, IL 60604. The Chicago Symphony Orchestra: www.cso.org and www.csosoundsandstories.org.